Applications are closed for 2019 expeditions. Applications for 2019 expeditions are closed. The new teams will be organising events throughout the year and they would love to see you there! 2018 was the sixth summer the Egypt expedition has run and the fifth to be based near El Quesir. 8 students from various stages in their university career flew to Hurghada at the start of June to spend 6 weeks conducting marine research in the pristine coral reefs of the Red Sea. The expedition conducted research for 4 honours projects, 3 of which built upon studies from previous years. 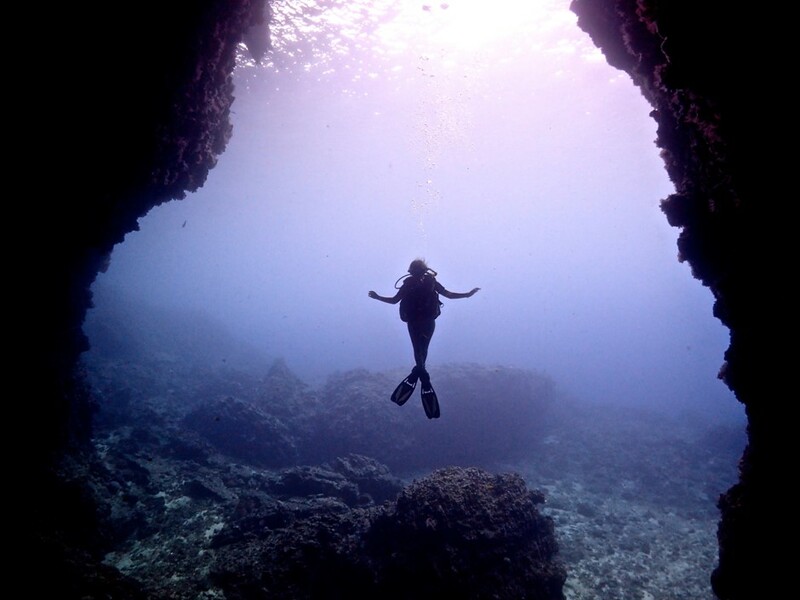 Two of the projects, exploring coral cover and fish behaviour, were scuba-based, and worked on the beautiful Abu Sauatir reef. The camera drop study, surveying the diversity of life in mesophotic coral reefs, was a continuation of last year’s and focused on different reefs around El Quseir harbour. Meanwhile, the rockpool study was a new and successful project examining diversity in the intertidal zone. Despite research focusing on the marine environment, half the team were zoologists. Aside from science, the team was heavily involved in outreach. While still in Glasgow, some of the team gave a talk to local primary school pupils about our work and the importance of marine conservation. 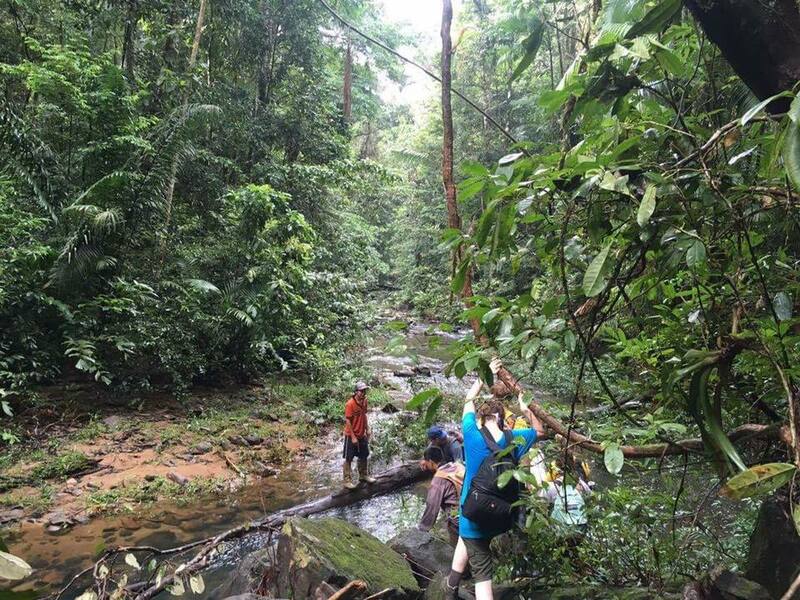 During the expedition, various events were organised in conjunction with local NGOs. These included giving a talk at a local school, a mangrove clean-up plus a day activity camp. The expedition was hosted at Roots Camp, a holiday camp aimed at divers. 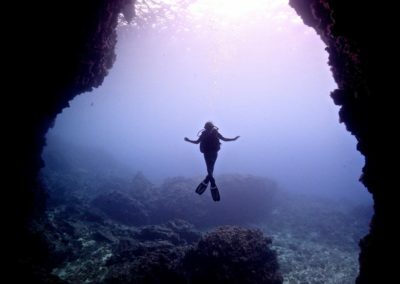 Not only is the camp linked to a top-quality dive centre, Pharaoh Dive Club, but it is merely across the road from the main study site, Abu Sauatir reef. Due to the intensity of the projects, all meals were included. Accommodation was in the basic but homely Eco Huts, sharing 4 to a room. Data analysis was carried out in the air-conditioned lab on camp. When work was done, the team could unwind and relax by the pool side. The 2018 Iceland Expedition was lucky enough to return to the Skalanes Nature and Heritage Centre in the East fjord region of Iceland for the tenth year running. The team were excited to be a part of Skalanes’ transformation this summer as the Reserve becomes a fully fledged INTERACT – International Network for Terrestrial Research and Monitoring in the Arctic, research station. The reserve is a 1250 hectare area of spectacular geography and geology, and is not only home to 47 species of bird but also to numerous mammalian species such as the Arctic Fox. The expedition this year consisted of three Honours projects, including zoology studies based around the bird species on the reserve (puffins and Arctic terms) and an exploratory study on the effects of invasive Alaskan Lupin. They continued the long-standing sea bird cliff count project, which monitors the Black Legged kittiwakes and Fulmer populations on a local cliff face, visible from the viewing platform on the reserve. There is the hope that the research we carried out during our stay will help with both the long-term and short-term conservation efforts at Skalanes. Over ten weeks in the summer of 2017 the expedition team completed 8 different projects on animals including frogs, turtles and bats. There was also a new geography project looking at Trinidad’s waste management and environmental degradation on the island. Each project was a great success. The leatherback turtle projects were looking at nest site compilation, nest site choice, egg temperatures as a proxy for body temperature and looking at how female leatherback turtles change over the course of the nesting season. The frog team were looking at how early life experiences affect frogs in later life. The bat team were investigating the effect of human disturbance on bat species diversity and how bats use their echolocation to move around in open and enclosed spaces. Finally, the geography project were investigating Trinidad’s waste management by interviewing the public and meeting with some of the countries leading companies in environmental change. Hard work was rewarded with great days out. 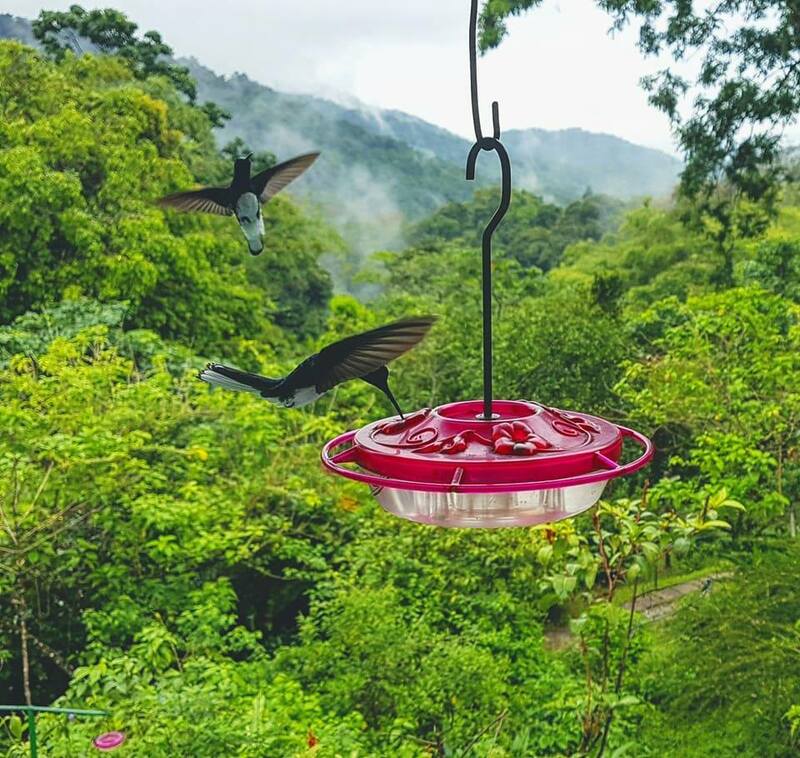 Some days off included visits to the Asa Wright Nature Centre where the team had the chance to see hummingbirds up close, a tour of Pitch Lake and Caroni Swamp, celebrating birthdays in Port of Spain and sampling some of Trinidad’s beautiful beaches! If you have any questions or want to read about our projects in more detail, please visit our Facebook page! Scotland-based expeditions are the longest standing part of Exploration Society, with the first recorded expedition taking place in 1936 on the Isle of Canna and visits to the Garvelloch Islands, St. Kilda and Foula (of the Shetland Isles) taking place throughout the few decades. 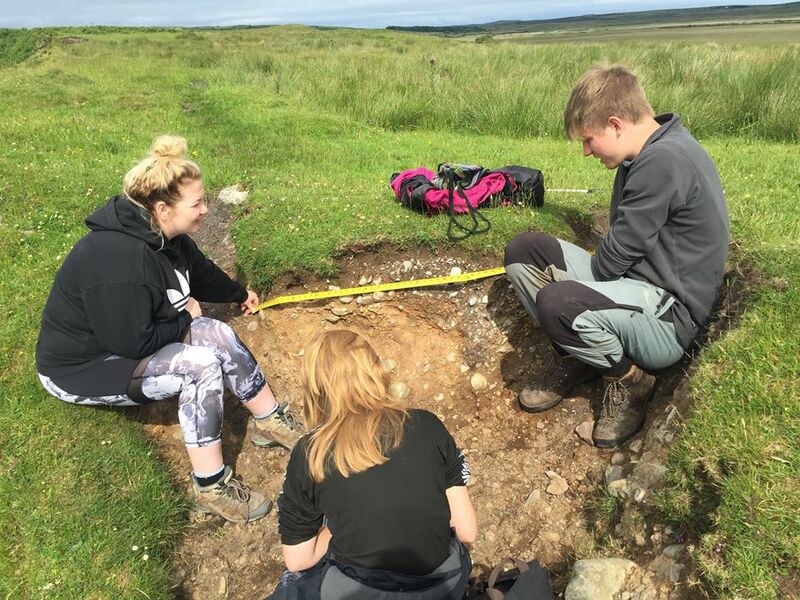 In 2017, a team of 8 undergraduate students spent 6 weeks conducting both zoological and geological research across the Isle of Islay. 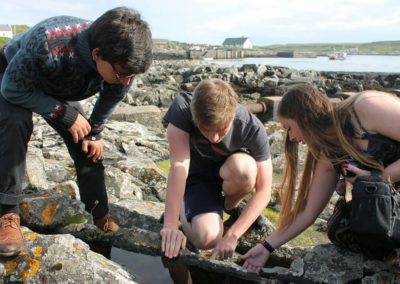 The team consisted of two students studying environmental sustainability, one earth science, and five zoologists – two of whom were conducting their honours projects on Islay. This research consisted of a small mammal project investigating the effectiveness of humane trapping grid layouts, an invertebrate study that aims to determine the foraging preferences and habitat distribution of British bee species, an investigation into the landscape effects of glaciation through flint deposits, and a group study of bird species distribution across different habitats. Previous expeditions studies have covered a wide range of wildlife, with two of the most popular focuses being the bird and bat species of Islay. These include studies on the territorial, breeding and parental behaviours of the chough and herring gulls, studies on bat activity and diversity, behavioural studies on harbour seals and otters, as well as invertebrate studies covering butterflies, bees and more, over various habitats. In 2018, the Outer Hebrides expedition travelled to the beautiful Isle of Harris to conduct 5 weeks of Zoological research. Our work gave the team some amazing experience with field research and allowed us to encounter a wide variety of the islands’ animal life including the rare great yellow bumblebee, golden eagles, otters & porpoises. 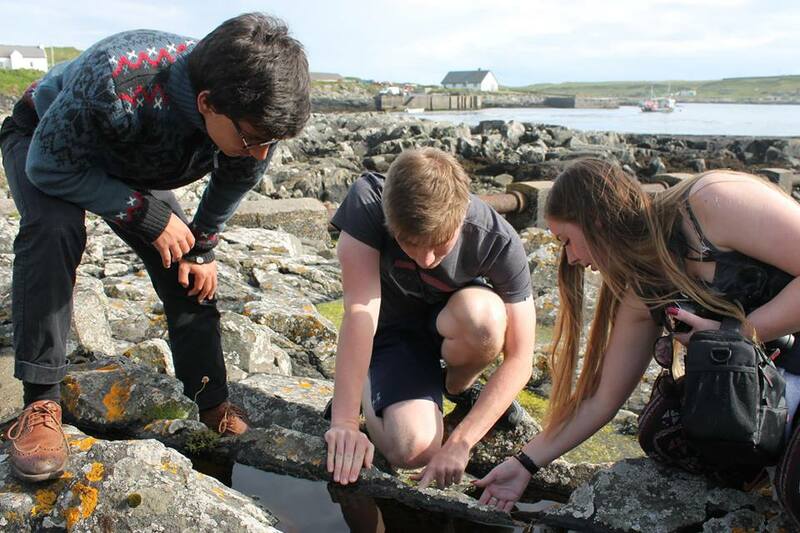 When we were not out collecting data our team relaxed by exploring the islands’ hills, beaches, distillery and rare machair habitats that are a hotspot for Hebridean flora and fauna. 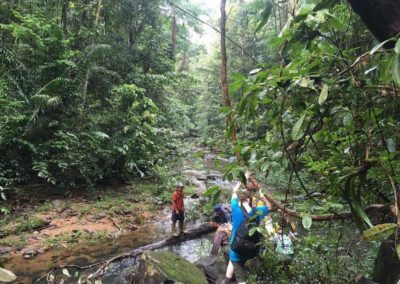 The Glasgow Guyana Expedition 2018 was only the second expedition to Guyana from The University of Glasgow, after a successful start in the summer of 2017. 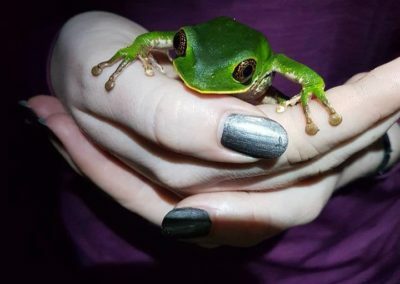 A newly found collaboration with the Protected Areas Commission has opened up incredible and exciting opportunities for student research in the pristine tropical rainforests of Guyana. 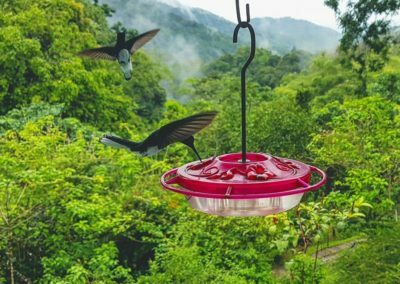 Four weeks were spent in the Kanuku Mountains Protected Area (a recently established nature reserve of 600,000 acres) in the deep interior of the country. 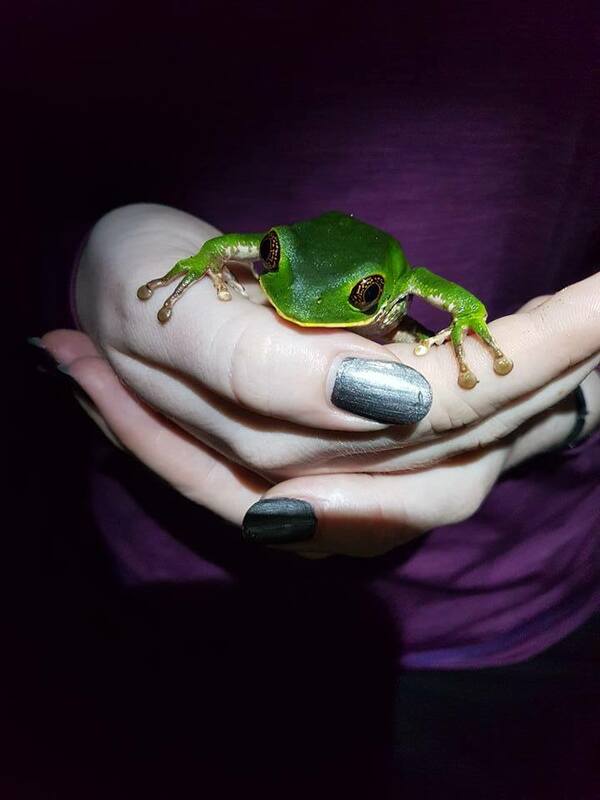 In 2017, the expedition aimed to collect baseline data on bats and amphibians, to determine if the disease Chytridiomycosis is present in the KMPA, and to document the presence of any other ground-dwelling wildlife using camera-traps. The region is home to some of the highest biodiversity in the Neotropics, and is comparatively understudied. The 2018 expedition continued to build on the data from the projects that were carried out last year. These included bat mist netting, camera trapping and amphibian surveys. 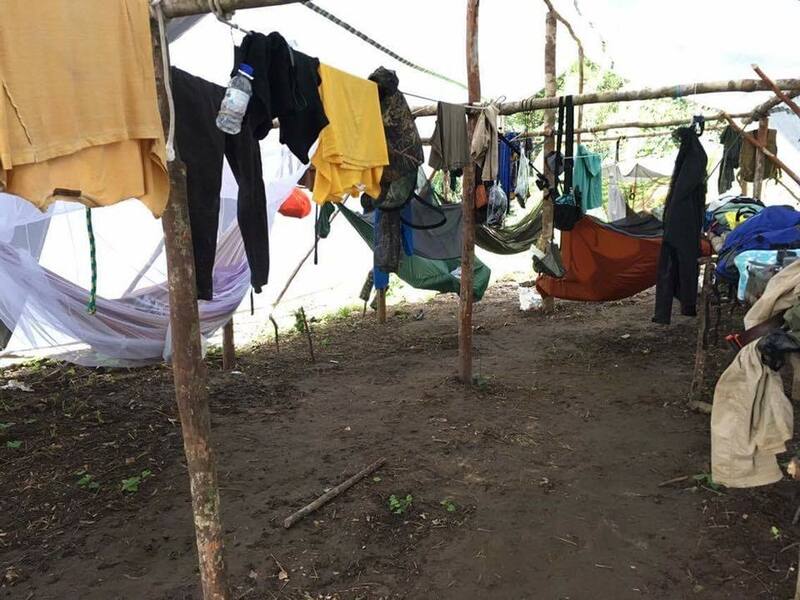 The 6 week expedition took place at two different base camps within the pristine rainforest of Kanuku Mountains Protected Area (KMPA) in the deep interior of the country. The living conditions and travel situation is challenging. Hammock and tarpaulin are your defence against the elements. The remote camp was entirely isolated and contained within the rainforest reserve. The terrain is difficult and days of travel in a minibus, boat, pick-up truck, quadbike, and ox-cart are to be expected. The relatively small team and short time of the expedition requires a hardworking and committed group. Days began at 6am with DNA swabbing of frogs caught the night before, and ended at 11pm after returning to camp from capturing bats with mist nets. 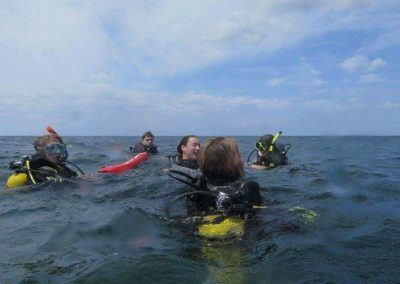 The Sri Lanka Expedition piloted last year with an interdisciplinary team of marine biology, zoology and geography students. They traveled to the town of Nilaveli, on the East coast of Sri Lanka and stayed there in a house for six weeks. 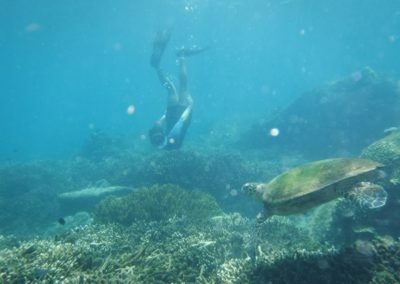 The main focus of the expedition was to collect a data set on coral reefs and their associated fish assemblages fringing the area of Trincomalee and Pigeon Island, a marine protected area. 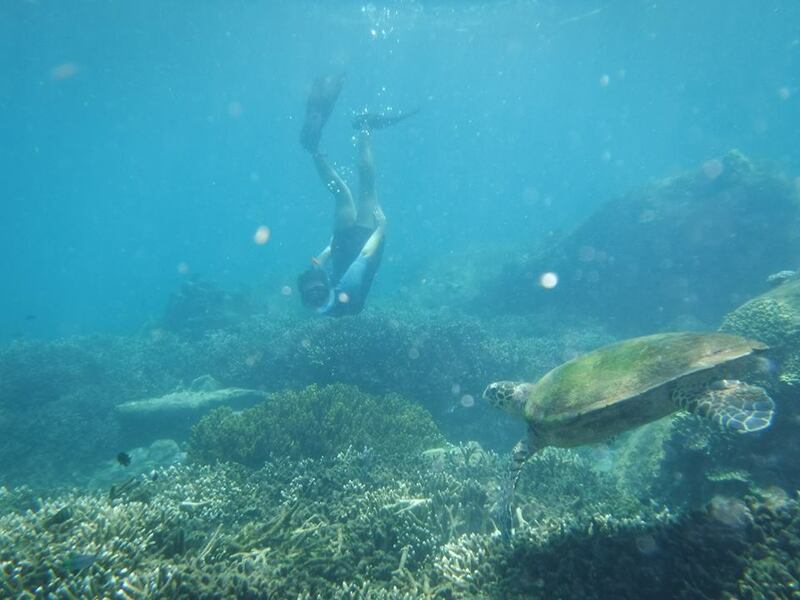 The team snorkelled to survey the shallow reefs and went scuba-diving for the deeper reefs, which were around 10 meters deep. The method was to swim along a randomly placed 20 meter transect line at a steady debt. Fish abundance was taken by video and coral cover by photographs. This baseline study can now be used for future expeditions to use for marine orientated honours and masters projects. There were 2 Rescue Divers, 1 Dive Master and 1 Dive Instructor on the team before embarking on the expedition. One student acquired his Advanced Open Water certification and three students their Rescue Diver at the Poseidon Diving Sri Lanka. Out of the water, the team carried out beach clean-ups to measure the difference in micro and macro plastic abundance in exposed and sheltered bays around the Trincomalee area, a study that can also be build on by next year’s expedition. And they also visited local schools to indulge in Sri Lankan culture and in return teach students the basics on ocean conservation. The 2019 Thailand expedition will be the first expedition to visit Phuket and the surrounding Andaman sea. We hope to conduct three research projects over a period of six weeks from early June with a team of eight students. Two of these projects will be baseline data collection on the benthic and fish species in the Andaman sea surrounding Phuket to establish a data set for future expeditions. A third project will investigate effects of the shark finning industry and assessing the dynamics of catches including species type, size and abundance. As this is the first expedition to Thailand from the University of Glasgow, we hope to establish connections with local NGOs such as GreenFins Phuket and GoEco Phuket, to ensure the longevity of the Thailand expedition. To find out more, message Shion and Melanie at ExpeditionThailandGU@gmail.com.